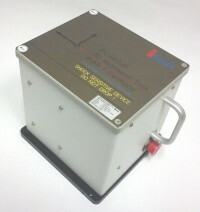 With increasing quality requirements and the need for a continuous monitoring of quality, the surveying or aligning of machining centers and robots or the transfer alignment of inertial navigation systems (INS), fire control systems, missile attack warning systems or the alignment of telecom-antennas has gotten of significant importance during the last couple of years. Therefore, iMAR developed the Transfer Alignment System iPEGASUS, a patented highly precise inertial measurement system, which provides a three dimensional attitude/heading information relative to a reference orientation with an accuracy up to 0.01°. In differential mode with two iPEGASUS systems also guns can be aligned on moving naval vessels. The system works without external aid and is easy to handle for everybody, where only one single people is necessary for operation. Thus the measurement time for aligning or surveying is reduced dramatically compared to traditional laser or camera supported systems. iPEGASUS is a handy tool which generates up to 300 measurements per second, shows results on screen and plots a protocol designed for your application. Using two iPEGASUS in differential mode allows furthermore the alignment of fire-control systems, guns or shafts even on moving naval vessels. Picture: iPEGASUS, mounted on top of an anti-aircraft / anti-missile gun ("Sky Shield" of Oerlikon Contraves / Rheinmetall) during calibration phase of the gearboxes of the gun during manufacturing process. With the obtained measuring results the deterministic deviations of the gearboxes and the total kinematic chain are fully compensated to increase the hit probability of the gun significantly. iPEGASUS is the wellknown reference for aviation and ship-building industries as well as for paper machinery operators to solve challenging alignment tasks within a fraction of time which is required by conventional optical systems. As an Add-On our WLAN & Power-Pack is available, which makes iPEGASUS a total independent system (no cables required to an external laptop or power supply due to integrated battery pack and WLAN interface). A PDA / Tablet is available (also via WLAN) to visualize the measurement results online.